Considered one of the world’s top jazz pianists, she has performed with and produced for such esteemed artists as Stevie Wonder, Herbie Hancock, Prince, Nancy Wilson, Sheena Easton, Carlos Santana and Freddie Hubbard. 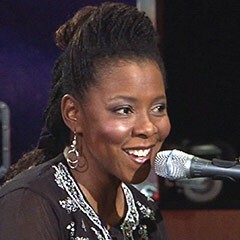 She is an award-winning composer of symphonic music, some of which was commissioned by the Detroit Symphony Orchestra.Rushen received an Honorary Doctorate of Music degree in 2005, from Boston’s prestigious Berklee College of Music for her “outstanding contribution to music and culture” where she is also the Ambassador For Artistry In Education. Most recently, she has been appointed Chair of Popular Music at the USC Thornton School of Music. Rushen also spends time working with the Los Angeles Cultural Affairs Department, NARAS “Grammy In The Schools” program, the Young Musicians Program in Northern California and other organizations dedicated to establishing music education and mentorship programs for underserved youth.